In response to a BBC investigation alleging mistreatment of workers at one of its factories, Apple partner Pegatron has vowed to look into the matter and implement any necessary improvements. In a statement issued to the Taiwan Stock Exchange, Pegatron Technology said on Monday that plans to investigate the claims that appeared last week in the BBC report. The company also said that employee safety is its top priority, and it is working to ensure all of its workers are safe. Pegatron also touted the strict training it requires for its employees and management, and noted it uses external inspectors to audit its facilities. The statement made no mention of Apple, but BBC One focused on Pegatron's relationship with the iPhone maker, exposing multiple instances of poor treatment of workers on one of its production lines. 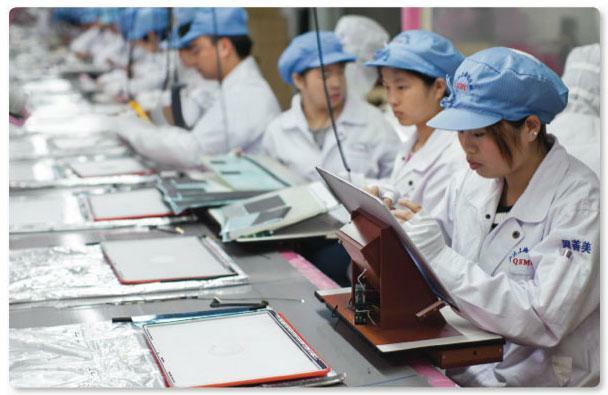 The investigation by BBC Panorama used hidden cameras to discover a variety of infractions violating Apple's own Supplier Responsibility report, including illegal ID card confiscation, excessive working hours, poor living conditions, and underage workers. But the report itself has also come under fire, as Apple responded last week with an internal memo saying officials at the company were "deeply offended" by the allegations made in the telecast. Apple executive Jeff Williams said certain details provided by the company to the BBC were "clearly missing" from the special that aired on the news channel last week. Williams noted that that Apple's audits and tracking show that it has achieved an average of 93 percent compliance with its 60-hour workweek limit. He also admitted that the company can do better, and vowed that it will. "We know of no other company doing as much as Apple does to ensure fair and safe working conditions, to discover and investigate problems, to fix and follow through when issues arise, and to provide transparency into the operations of our suppliers," Williams wrote.